I'm swooning over this exquisite ribbon designed by Jessica Jones, creator of the amazing DIY blog, How about Orange. I'm trying to come up with a special use to justify the purchase...perhaps as a permanent hanger for a simple bay leaf wreath? Eureka! I love it! I must check it out. 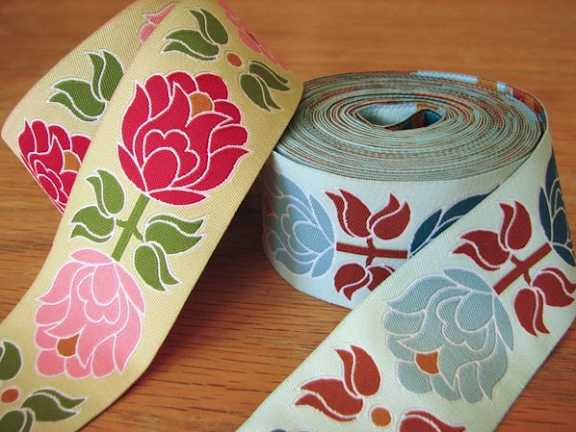 They would look great turned into a ribbon belt.